Canadian Government Claims "All's Well" at Home but Calls Europe's Debt Woes "Dire"
So say John Greenwood (www.financialalpost.com) and staff of http://finance.sympatico.ca in edited and amalgamated excerpts from their respective articles*. Lorimer Wilson, editor of www.FinancialArticleSummariesToday.com (A site for sore eyes and inquisitive minds) and www.munKNEE.com (Your Key to Making Money!) has further edited ([ ]), abridged (…) and reformatted (some sub-titles and bold/italics emphases) the two articles below for the sake of clarity and brevity to ensure a fast and easy read. The authors’ views and conclusions are unaltered and no personal comments have been included to maintain the integrity of the original article. Please note that this paragraph must be included in any article re-posting to avoid copyright infringement. In his speech Mr. Flaherty warned of “consequences” for those countries so affected if European leaders did not resolve the issues facing them quickly – consequences such as massive debt burdens that would be carried for generations and, in some cases, “social unrest and instability”. European nations are currently grappling with a sovereign debt crisis that is threatening the euro and European Union itself. Several nations have already received bailout funds from the International Monetary Fund and other bodies [Portugal, Iceland, Ireland and Greece] with Belgium being the latest country to be downgraded by Standard and Poors given their growing liklihood of recession and the country’s exposure to financial sector losses. Furthermore, even larger economies [such as Italy, France and Germany] moving to the centre of the crisis increasing the impact on the global economy. For example, “the interest on Italian debt is already unsustainably high and if it persists more than 12 months”, according to Craig Alexander, chief economist at Toronto Dominion Bank, “the country will be insolvent and, remarkably, there is not enough money in Europe to bail out Italy were that to occur”. 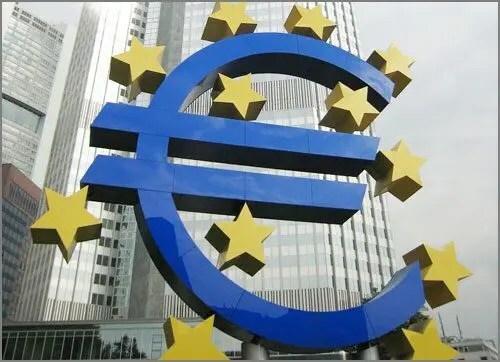 In addition, Germany failed last week to find enough buyers to complete a bond auction signalling a further deterioration of investor confidence in even the safest eurozone country. Canadian government officials have urged Europe’s policymakers to tackle their growing debt loads with concrete solutions for months, a message which the finance minister continued in his speech Flaherty where he trumpeted the Conservative government’s fiscal record – noting that the government ignored Opposition calls for more spending during previous times of plenty, electing instead to pay down debt giving the Canadian economy a $60-billion shot in the arm when it needed it during the 2008 slowdown – and urged his European counterparts to get their fiscal houses in order. According to the finance.sympatico.ca article, “Canada is on track to have a debt-to-GDP ratio of 34.9% this year [which] contrasts [very favourably] with 57.2% for Germany, 72.6% for the United States, 72.9% for the U.K., 81% for France and 100.4% for Italy. The G7 average net debt to GDP is about 80%”, Flaherty noted. 1. Canada’s “Misery Index” On The Rise – but Still Below the Misery in the U.S. Previous This Week's BEST Financial Articles from munKNEE.com – Your Key to Making Money!